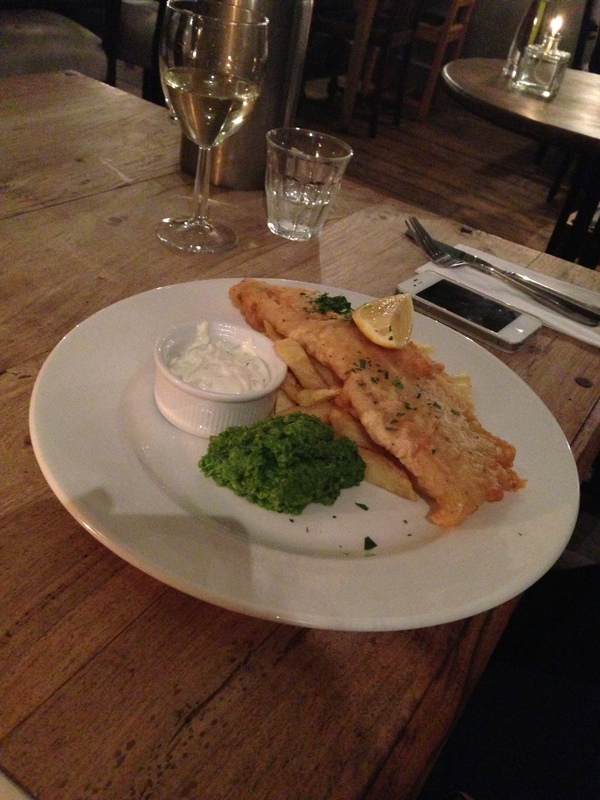 Shortly after moving to the West Hampstead/Kilburn/St John’s Wood area, I discovered The Salt House. I admired the appearance from the outside, embraced its proximity and went with a friend for drinks. It is a cosy pub upon first entrance, but the room further back is a stylish, rustic restaurant. The menu looked good so I decided to go back for dinner. Since then, I have been to The Salt House extremely regularly. A while later I took my family, and the positive reception resulted in this current competitive state between The Salt House and restaurant X when it comes to family dinner outings. I have been there with friends, on dates, just for drinks, and for drinks/dinner outside; they have both pub tables and more formal restaurant tables outside as well as outdoor heaters. “If you’ve been going there for so long, why are you only just reviewing it now? !” I hear you asking. 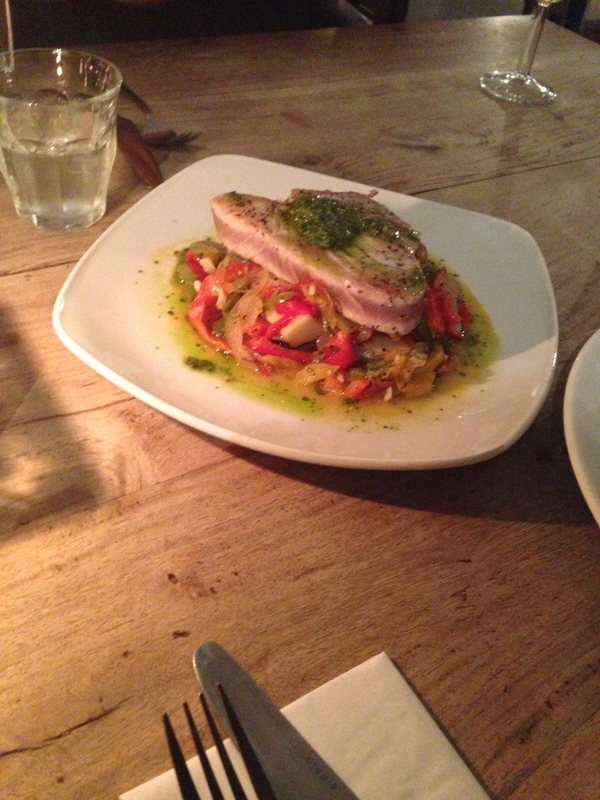 Two reasons; first and foremost is, whilst the food has always been of a very good standard, in recent months it has soared to a new excellence. On a more technical note, I only started this blog recently. This review will be based on both my latest Salt House experience and my previous visit, a family outing last week for my birthday. As it was my birthday, I indulged in an elderflower bellini to drink. Being a big fan of elderflower I was very curious and felt compelled to try it. There is no better word to describe it than delightful! To start I had the smoked salmon with capers. It was a great dish. My siblings and parents ordered the mozarella and tomato salad which looked scrumptious and I was assured that this was the case. Last week as a main I ordered the lamp rump with cous cous; I really enjoyed this dish. 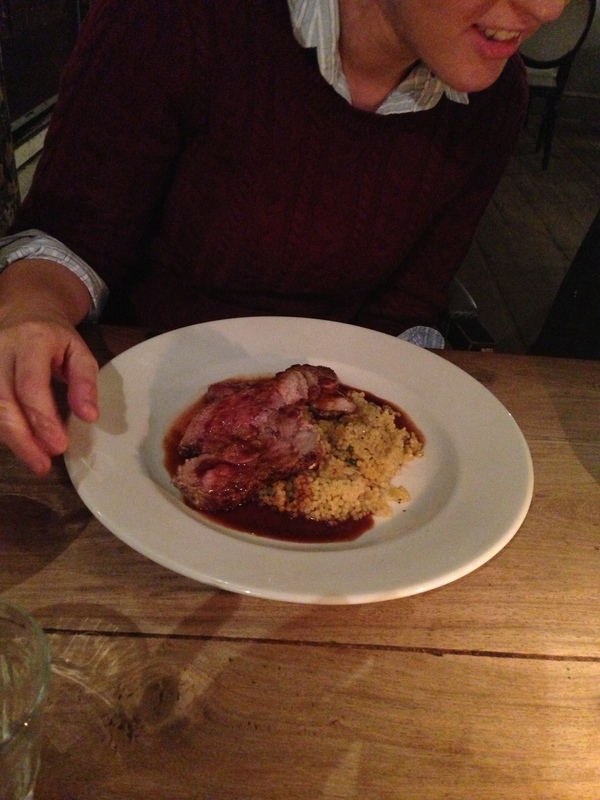 The cous cous was big cous cous (not the small stuff that I often find a little irritating) and the lamb was succulent. One of my friends that I went with this evening liked the texture of the cous cous; when asked why, she said “it complemented the moist lamb.” I have to agree with her. 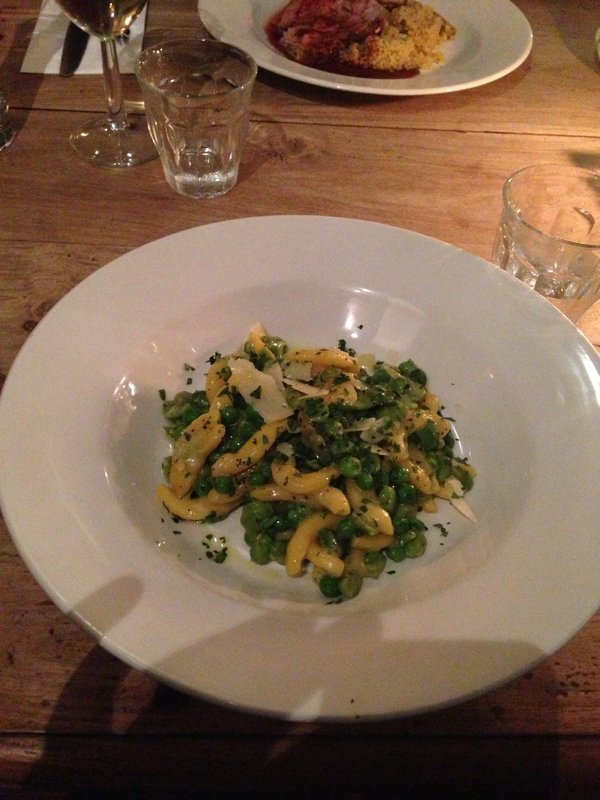 Jealous of the strozzapreti with peas and beans last week, I ordered it tonight. It was extremely flavoursome. My other friends ate fish and chips (one thought the chips were soggy, the other very confidently defended the chips’ reputation) and tuna steak. The fish and mushy peas were complemented whilst the tuna was described as “slightly tasteless and rubbery”, but I was assured that the accompaniment made up for it. 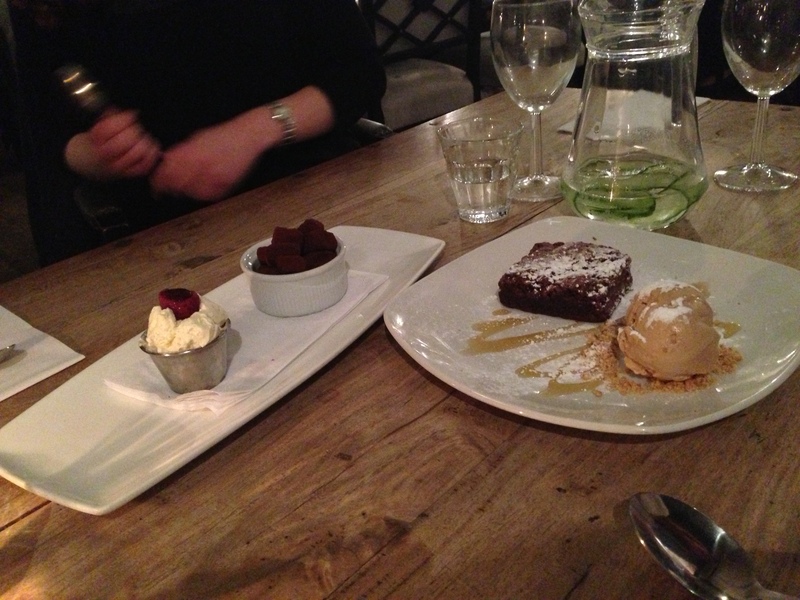 I had fond memories of the brownie with salted caramel ice cream from last week so recommended it for dessert; we shared a brownie and the chocolate truffles. The truffles were served with a tiny pot of mascarpone which did a great job of making the truffles a little less rich whilst still preserving their chocolate intensity. 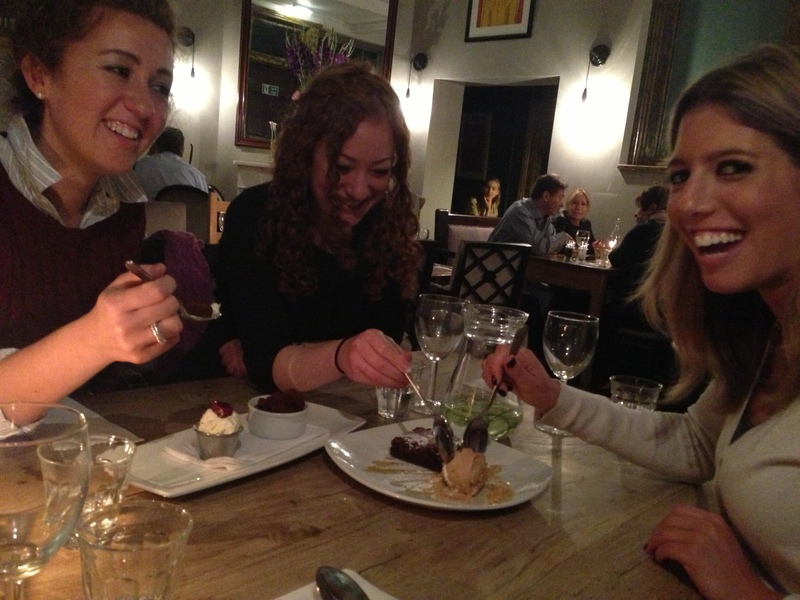 The brownie was, as expected, to die for as was the ice cream. I love The Salt House! I cannot recommend it enough. I want to know what restaurant x is??? It will remain anonymous, just like your identity!